Recently, the UK Supreme Court ruled that the government must take immediate action to cut air pollution, ordering “that the Government must prepare and consult on new air quality plans for submission to the European Commission… no later than December 31 2015”. This was brought about when the UK was found to be in breach of its duty to achieve legally binding limits for nitrogen dioxide by an initial 2010 deadline. So what exactly is nitrogen dioxide, where does it come from, and why is it so bad for us? Nitrogen dioxide, or NO2, is a molecule consisting of one nitrogen atom and two oxygen atoms. It is produced via the oxidation of nitric oxide (NO) in air – natural sources include; lightning, plants, soil and water. However, overall, only about 1% of the total amount of nitrogen dioxide found in urban environments comes from these natural processes. In urban areas, about 80% of atmospheric NO2 comes from motor vehicle exhausts with smaller amounts arising from other sources, include metal refining, and electricity generation from coal-fired power stations. 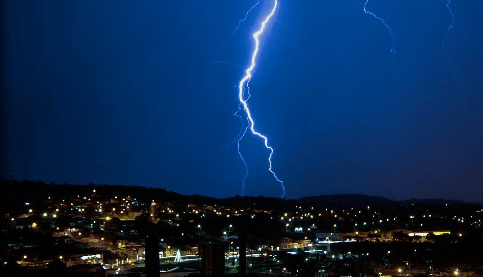 Lightning is a (small) natural source of nitrogen dioxide (Photo Credit: Diegojaf22 via Wikimedia Commons). Nitrogen dioxide reacts with moisture, ammonia, and other compounds to form small particles. Inhaling nitrogen dioxide can be extremely harmful to humans, because these particles penetrate deeply into the body, damaging the lining of the lungs through abrasion. This can act to reduce immunity to lung infections, and cause problems such as wheezing, coughing, flu and bronchitis. Increased levels of nitrogen dioxide have even more significant impacts on people with asthma leading to fiercer, and more frequent attacks. However, the impacts of air pollution goes beyond asthma and other respiratory diseases, having been linked to heart attacks and strokes; the world health organisation has also formally classified outdoor air pollution as a carcinogen, causing both lung and bladder cancers. Traffic in not just bad for our stress levels (Photo Credit: Stephen via Wikimedia Commons). Current figures place the number of deaths caused by air pollution in the UK somewhere between 29,000 and 30,000 a year – which is more than the number of deaths resulting from obesity and alcohol combined. 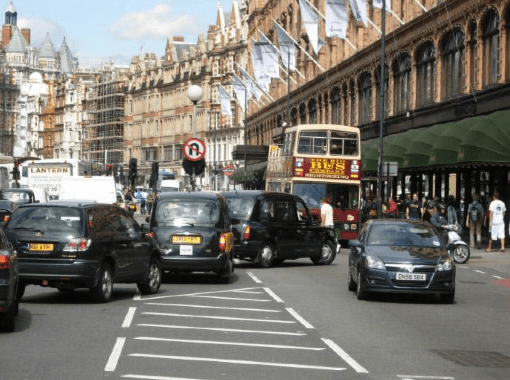 Even more worryingly, a recent study found that these statistics do not factor in nitrogen dioxide, and only include deaths caused by particulate matter (i.e. particles suspended in the Earth’s atmosphere). The Committee on the Medical Effects of Air Pollutants is due to publish its findings later this year, where it is predicts that the premature death toll caused by road traffic pollution will be around twice as high as originally thought. According to DEFRA the average roadside concentrations of nitrogen dioxide had fallen 15% since 2010. In addition both nitrogen dioxide emissions and background concentrations had more than halved in the 20 years since the mid 90s. However, whilst nitrogen dioxide emissions from petrol cars have fallen significantly over past 20 years, the emissions from diesel cars have overall shown little change during the same period. Greater Manchester residents can find out more about the air quality in their local area at the GreatAir Manchester website, which provides daily pollution indices, as well as host of useful resources and advice. The DEFRA air quality website is also a great resource, and provides daily pollution notifications, as well as five-day pollution forecasts. If you have any respiratory problems and are planning on being outside for a long time, then it is well worth checking these websites first, especially if you plan on doing any vigorous activities. 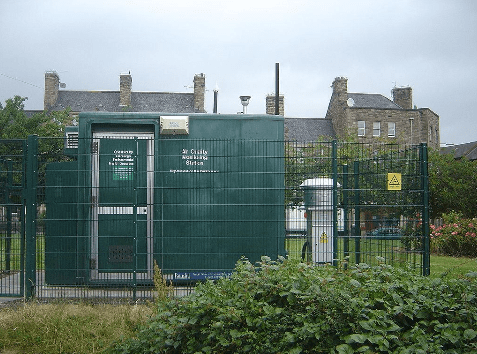 The DEFRA air quality index id based on measurements made by measurement stations like this one in Edinburgh (Photo Credit: David Monniaux via Wikimedia Commons). It is important to remember however, that this is not simply a straightforward problem. For example, because of the complex nature of the chemistry that is involved, a decrease in nitrogen dioxide levels can actually lead to an increase in surface level ozone, which is also a harmful pollutant, and which in Europe alone is responsible for approximately 20,000 premature deaths a year. You can read more about the relationship between ozone and nitrogen dioxide in this paper. The Supreme Court’s ruling could be a watershed moment in the UK’s fight to improve air pollution in our urban areas, and with UN statistics showing that over 80 % of the UK’s population is currently living in urban environments, it is important that we act now, before it is too late.